The United States Department of Energy has awarded a four-year Computational Science Graduate Fellowship (CSGF) to Caitlin Whitter, a Ph.D. student in computer science who entered the department this fall. Whitter is one of 25 graduate students in the United States to be awarded this fellowship in 2018-2019. Fewer than 6 percent of applicants are chosen for the fellowship each year. She is among the fellowship’s 28th incoming class. 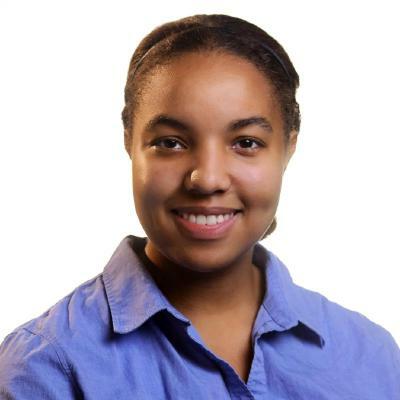 She is currently the only student from Purdue to win this fellowship, and the fourth in all of Purdue history dating back to the 1990s. Whitter is a member of Professor Alex Pothen’s research group. Whitter's bachelor’s degree in computer science is from George Washington University, where she received a Presidential Academic Scholarship and a Clark Engineering Scholarship. This summer, she completed a research internship at MIT, where she used digital signal processing techniques in MATLAB to develop an image reconstruction pipeline for generating high-resolution images of space objects under bandwidth-limited conditions.